Suit up your saddle. A high quality saddle pack from Continental, with a free tube and 2 tyre levers. Excellent storage for your valuables or spares. 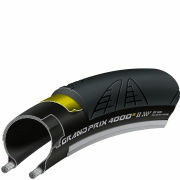 Fantastic value for money from Continental. 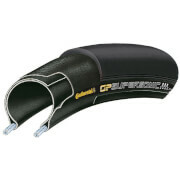 MTB tube: 26 x 1.9-2.5, Road tube: 700 x 18-25mm (42mm Valve). Fantastic value as included tube and a pair of awesome tyre levers.Nice and compact with a simple velcro fastener to fit under the saddle.All that was needed by me .Well done Continental. Perfect size saddle bag to store your keys, small changes or even your wallet. Simple but effective saddle bag, which attaches using a single Velcro strap and can be fitted and removed in seconds meaning you can switch from bike to bike with ease. Fits ok under my seat and has been very durable, just what you need. The two tyre levers included make it a simple process to get access to your wheel for when you need to change your tyre or inner tube. Having tried various saddlebags I only needed one for a tube and tyre levers Highly recommended !!! Isn't this the smallest saddle bag among all the others? It's just a packet of cigarette size, and probably won't spoil your road bike's look when you worry about it. I don't like a tool bottle or even an ordinary saddle bag as they somehow make your road bike look a bit bulky ( or "fat"). It contains a road bike tube and 2 levers (both included), and yes, there's still a little more space for keys, cards, coins or tiny things like those. As it's only got 1 Velcro tape to attach, you've got to fasten it surely, and I don't think this would be suitable for MTB with rough riding. Well, it's too small for MTB tube, anyway. Very happy with it. This is perfect!! All you need to do it strap it under your seat and go! Very compact and small which made it perfect to fit next to my aero drink carrier behind my seat. This is truly a minimalist saddle pack. Comes with a tube and 2 flat levers. I can fit a tube, both levers, 1 CO2, a mini inflator, and some cash. Perfect for a minimal repair kit - which is what it is intended to be. The 3 pictures of this product (bag is 80mm wide) perfectly illustrates what you are buying - if you want to try to stuff a mini bar in, choose something else, it is not designed for this. 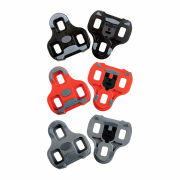 Easy to securely fasten (doesn't rub), comfortably fits under road saddle. Zip, Velcro & denier of bag are appropriately chosen. Previous reviewers are overly critical for what this product achieves! very light and small saddle bag for a tube and 2 levers that are included. The bad thig is that it is so thin that mine has 2 holes already in the bag just by rubbing on the rails, and i have not use it yet. (except put it under my saddle). I had one of these for several years, the road version, and it served me very well (until it disappeared). I decided to get another and this time ordered the mountain version because the valve length on the road version is too short for my road bike, and because I get more punctures on my mountain bike. I was very disappoined to see that the fastening system has changed from the velcro wrap around strap(see picture) to a single strap across the top of the bag with a plastic fastener. it simply does not work at all...it hangs like an ornament on a Christmas Tree and cannot be satisfactorally fastened. Very unfortunate. The bag is useless but i did get a tube and levers for a relatively reasonable price. For the price, you are buying a tube and two nice levers (same shape as Michelin levers which work exceptionally well) that come in packaging better than a plastic bag. The saddle pack holds the tube and levers but not much else. However, I can fit a patch kit, levers, small multitool, and CO2 inflater inside just fine - a more useful setup. The pouch itself is of somewhat low quality, but I was expecting this given the price.